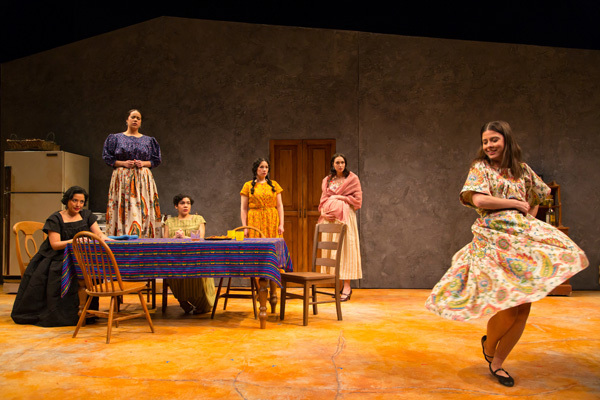 From the playwright of one of Two River’s most adored shows, Guadalupe in the Guest Room, comes a beautiful and moving new play, The Women of Padilla. Linked by their marriages to eight brothers and their shared last name, “Padilla,” eight very different sisters-in-law connect through the power of food, faith, laughter and each other while their husbands are away at war. Meet Mari, the one who quietly leads; Carmen, the one who drinks; Marta, the one with faith; Alejandra, the one who’s expecting; and all the rest of The Women of Padilla. Two River Theater invites you to join us for a special Spanish-language reading of Las Mujeres de Padilla (The Women of Padilla). Directed by Leyma López, the reading will feature cast members from our production of The Women of Padilla and special guest actors from New York. To reserve your FREE tickets, click here or call 732.345.1400.